Disclaimer: This book was sent to me by the author, Marie Lavender, for an honest review. Opinion: This short story has the right amount or romance, innocence, regret, and forgiveness to leave you completely satisfied. Not only does this author do a fantastic job of condensing some major emotions into only thirty-five pages, but she writes with a straightforward purpose to make the reader feel pain and forgiveness all at once. This short story starts off with our main character, Dana Nelson, running into her ex-boyfriend Vince. As soon as she spots him, Dana feels an intense wave of emotions run through her. Not only had they been friends since they were little, eventually becoming high school sweethearts, but Vince had cheated on her when they were in college and had severely broken her heart. Now, years later, Vince is trying to make up for his mistake and earn Danas forgiveness. 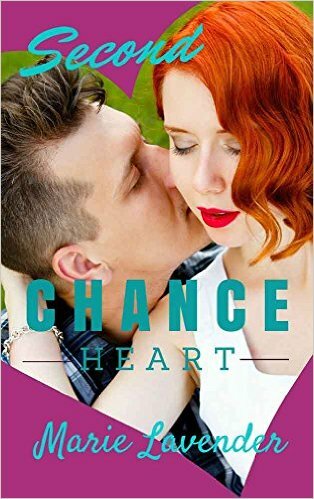 Dana is forced to decide if she can move on from Vince and their past, or if she can forgive the man that broke her heart. This story was sad and romantic all at once! This is a story many people can relate to, unfortunately, and I think the author does a great job of capturing how hard it is to forgive someone who has cheated on you. The author got the emotions in that moment perfectly! How sickly you feel just thinking back to the memory, and how your emotions go back and forth between anger and thinking about bittersweet moments from the past. This is one of those short stories where you can appreciate its length and the content, without needing for the story to go on because it is perfect the way it is. This is a great read if you are looking for something romantic, as well as if you have been through the hardships of learning to forgive. Definitely give this one a chance! Next Post RELEASE DAY BLITZ!! Blog Tour and Giveaway! I was fortunate enough to read the ARC and really enjoyed the story. Congrats, Marie! You found the perfect cover, too.